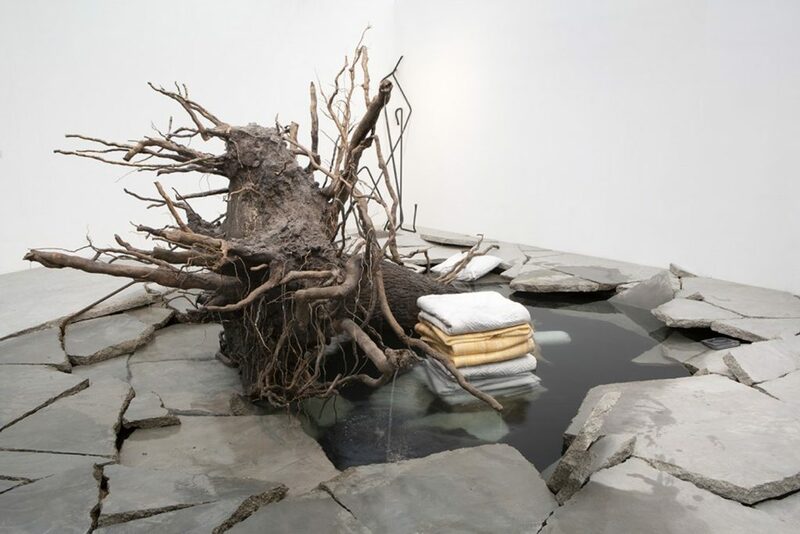 Right now, until November 10 you can catch Tatiana Trouvé’s shamanic tree as part of Frieze London. The Shaman (2018) sculpture, which comprises a 1.2-tonne bronze tree, concrete, a water tank and marble weighs more than 30 tonnes. Italian-born Trouvé, who lives and works in Paris, creates sculptures, drawings and installations. She says of her tree: “A shaman can travel between dimensions, and the tree is a shaman because it exists between two worlds—the roots are under the soil and the top is in the sky,” Trouvé says. Ugo Rondinone, the Swiss-born and now New York-based mixed-media artist is widely known for his temporary, large-scale land art sculpture Seven Magic Mountain, in place just south of Las Vegas from 2016 to his year. The installation’s organizer, the Nevada Museum of Art, estimated that 16 million people would see the work. 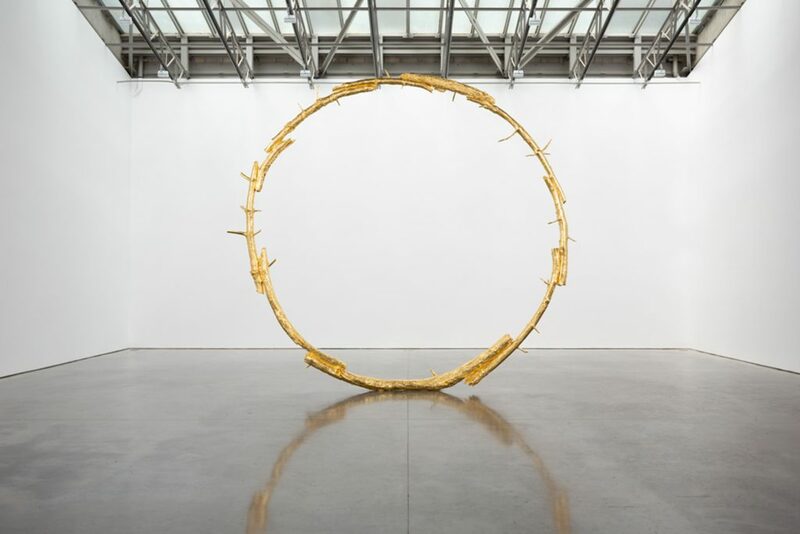 On a smaller, but no less impressive scale at New York’s Gladstone Gallery is just coming to the end of a Rondinone exhibition – Drifting Clouds featuring sepia drawings of wooded landscapes and a monumental sun sculpture – a single ring of gilded bronze cast from encircling tree branches. Blunt ends of the individual tree trunks and the punctae of twigs bind the sun to the ground, even as it seems to hang in the air. The gallery says the work evokes the celestial body using antecedents of the earth and Rondinone’s sun “celebrates the lyrical paradoxes that contour ontological boundaries and how they eventually collapse via the aesthetic gesture’s potential to transform”. Sudanese artist, painter and former politician and diplomat Ibrahim El-Salahi is represented by the Vigo Gallery in Mayfair. He is classed as one of the foremost exponents of the Hurufiyya art movement, noted for its combination of traditional graphic forms, especially calligraphy and contemporary artworks with a distinct Arab identity. 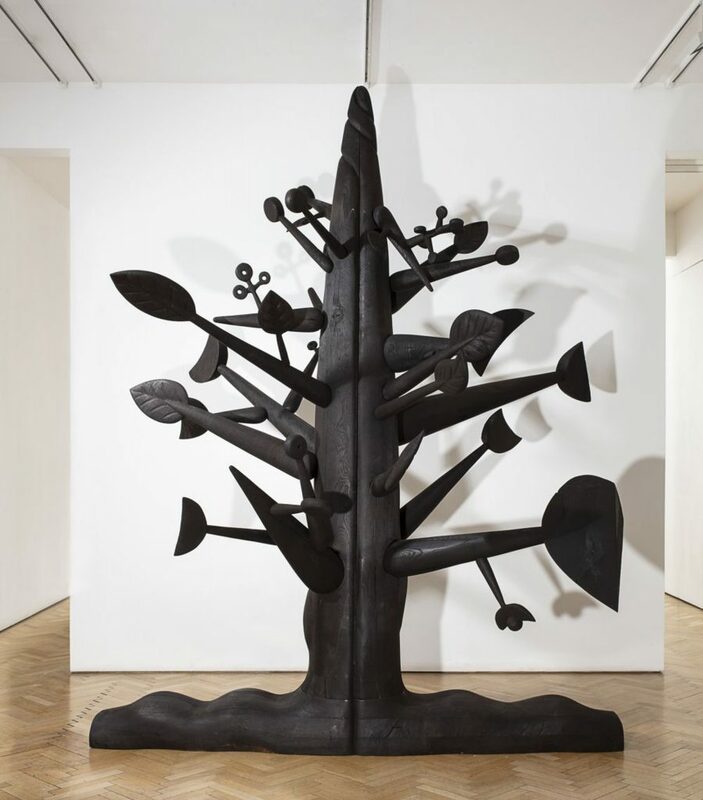 His Meditation Tree formed part of October’s 1-54 Contemporary African Art Fair in London’s Somerset House, which saw 43 galleries from 21 countries bring the African art world together across the four days.